57308 Jamie Ferguson, 0Z57, Carnforth, Fri 30 June 2017 - 1402 1. DRS's 1250 Carlisle - Crewe move. 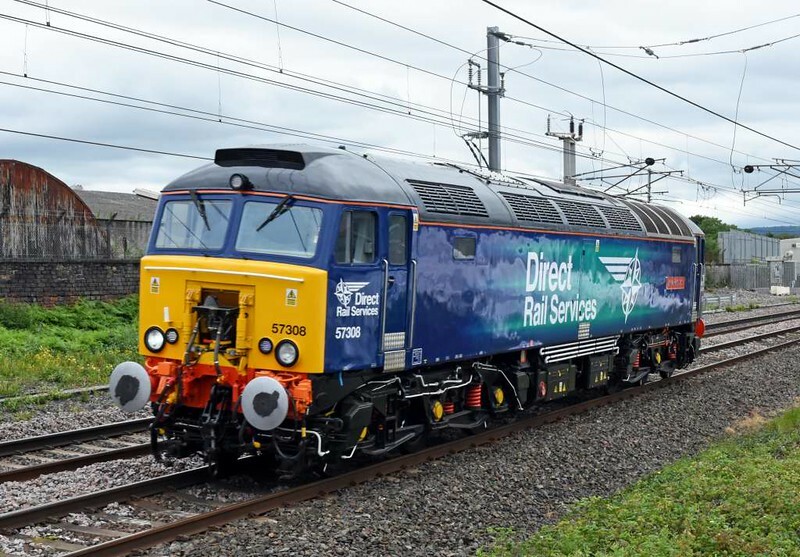 The loco had just been named at Carlisle after the Signal Maintenance Engineer who sadly died in a sea-fishing accident in 2016 at Newquay. He had been in post at Carlisle for less than a year.